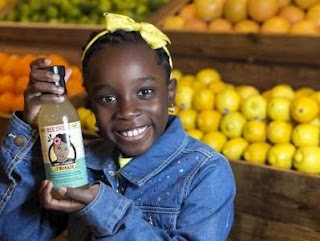 The 123-year-old girl is the executive director of "Me & The Bees Lemonade"
Not many professional adults manage to be successful in their attempts to create a company and much less children, however, Makaila Ulmer has managed to create her own product and her brand. Her lemonades are sold in more than 500 stores in the United States. Her business has been a success, but in her math classes she has not fared so well. All because taking charge of a business is a full-time job. With only 13 years, the executive director of the company Me & The Bees Lemonade, has realized that she has to leave a little time to study. The rapid rise of her brand has forced her to attend school one day and to give a conference on entrepreneurship the next. "It's not the easiest, that's for sure," she says. "Sometimes I have to miss my classes to give an interview or travel to be on a TV show, or I miss an important presentation because I have to do a project or do an exam." Now she sells 360,000 bottles of her lemonade a year, which she distributes in large supermarket chains like Whole Foods. She is one of the youngest owners of a company in the USA. Incredibly, she has been worried about her business in Austin, Texas, since she was four years old. With the help of her parents, she started selling her product in 2009. That year she put a table in front of her family's house and started selling lemonade with a recipe from her great-grandmother in the 40s. The recipe - which contains honey - put her in the difficult situation of receiving two bee stings in just two weeks. Her parents told her that instead of running away every time she saw a bee, she would investigate them to try to understand the important role they play in pollination and ecosystems. This inspired her to donate part of her sales to organizations that protect bees. In a short time, the company started selling to a neighborhood pizza shop and since then, has always donated 10% of its profits to the conservation of those insects. But when their parents assumed a more active role in the business, the question arose as to who is in charge of the project. "I did everything alone at the beginning," she says. 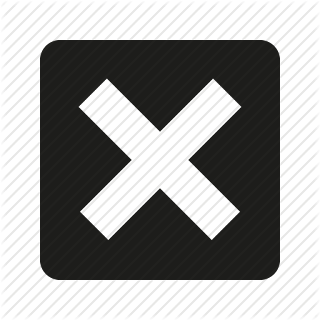 "As the business started to grow, I had to admit that I could not do it alone, that's when I asked my parents how to get a logo, a manufacturer, and distribute in more stores." The fact that her parents have higher business studies has clearly helped her. D'Andra, her mother, has specialized in marketing and sales, while her father, Theo, works in the area of ​​operations. Despite this, the mother says that none of them had experience in the food and beverage sector. For Mikaila, it is about working as a team. "We have considered sharing the executive direction because I make certain decisions that my parents would not take, and they take others that I would not have taken," she says. "I'm young ... I do not know everything, so I'll definitely consider their advice and opinions." The big jump of business occurred when Mikaila was only nine years old. At that time she received the contract to provide her product to the Whole Foods chain. "Mikaila and her company caught our attention in different ways," says Jenna Gelgand, supermarket representative. "I had a unique product with a great taste, as well as a strong and passionate founder, and an important social mission. We were impressed with Mikaila as a young entrepreneur and with her vision of raising awareness about the importance of bees," she adds. The girl was invited to various television programs and got funding from investors such as Daymond John and a group of professional footballers. Mikaila has won numerous awards and has been highlighted by figures such as the former US president Barack Obama. While still in the White House, he invited her to the government headquarters and to a women's meeting. The entrepreneur plans to start new businesses, but her studies are also part of her plans. "I want to create new companies, sometimes having only one becomes a little boring," she says. "I like to think about new names and new logos, that's the fun part, I also get a little nervous when I think about high school, but I hope to have new friends and not wear a uniform."